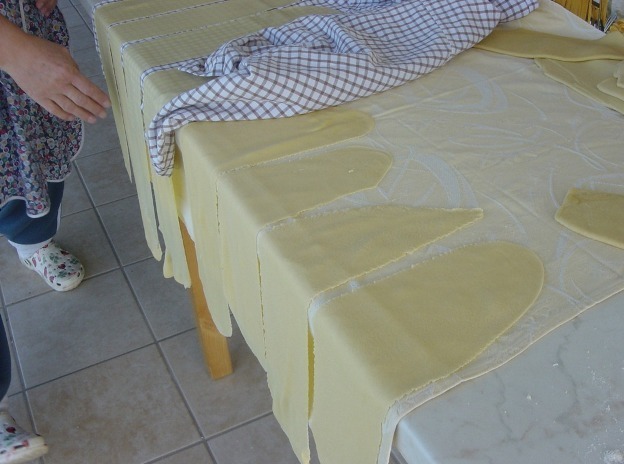 One experience that I will certainly be glad that I had whilst I was living in Italy was getting a lesson in how to make fresh pasta from my neighbour. 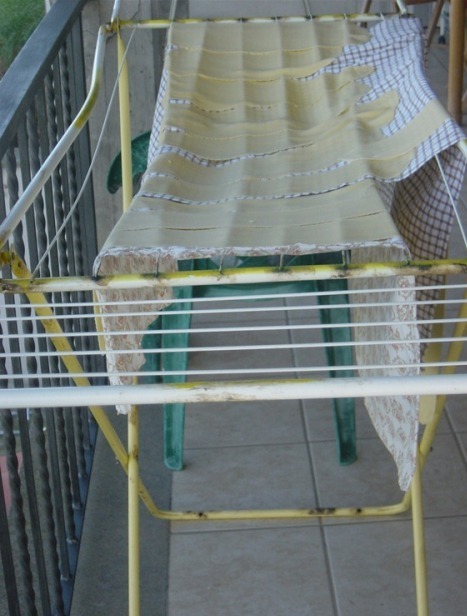 My neighbour at the time, Tamara, said that she had an extra pasta making machine, and if I ever wanted to do it, she would gladly teach me. At a convenient time, I went over to her place, put on an apron (which I never do – I just hope I don’t cover myself in food whilst cooking) and set to work. We used 1kg of flour plus 6 eggs. She says that you can use up to 8 eggs but she prefers to use less. We then set about mixing it together. 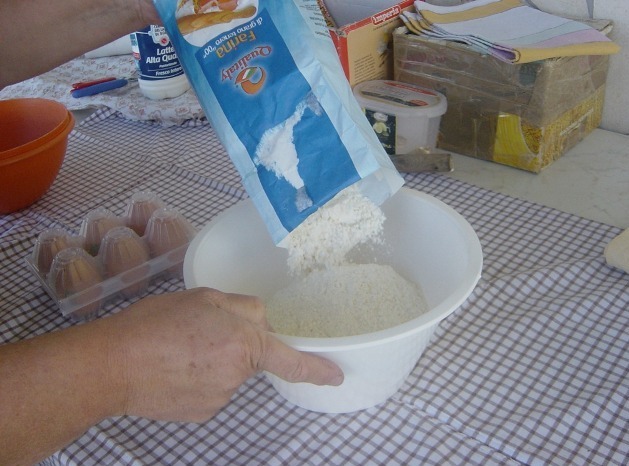 Then if it is a little dry you can add milk or water (we added a tiny bit of milk). We then kneaded it once it was all together, and left it wrapped in a tea towel for about 30 minutes. After that it was time to pass it through the machine for the first time. I cut off a bit of the dough and then put it through the machine. It was a hand operated one, which I thought was great exercise for my arm muscles. We had to pass the pasta through quite a few times, so it was really smooth, each time I folded it in half and put it through again. 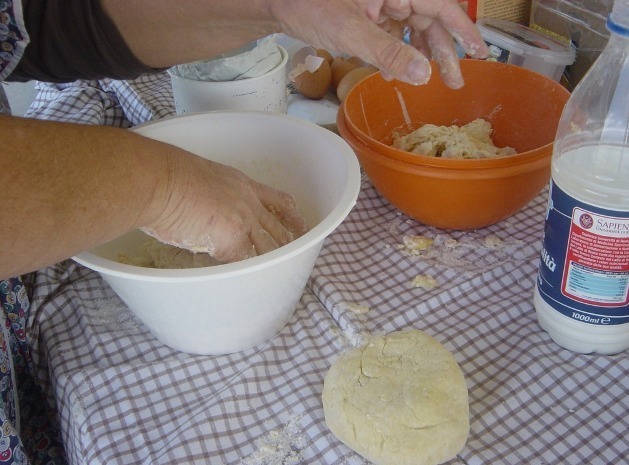 We then put them on the table and covered the dough pieces with a cloth. Once we had been through all the dough, we then re did the whole lot again a second time so it came out thinner, and artistically draped it over the table. Also over the washing dryer! Then we needed to wait about 10 minutes to give the pasta time to dry a little more before passing it through for the last time. I decided that I wanted to make tagliatelle. It made quite a lot! 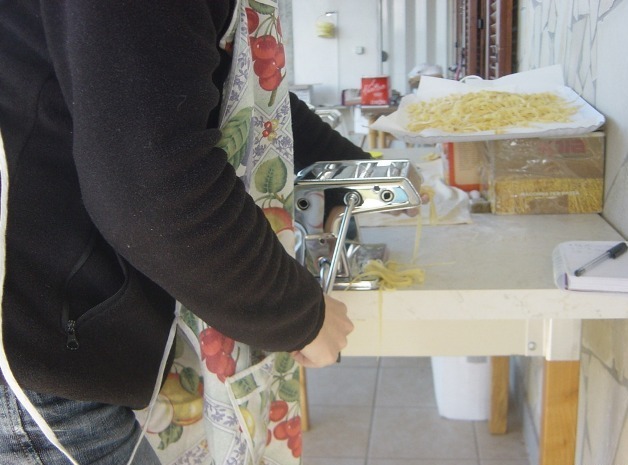 Have you ever made fresh pasta? If so, what type? 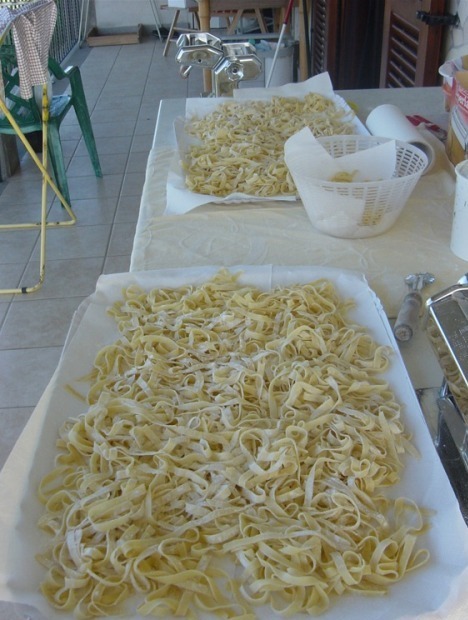 If not, would you like to try to make fresh pasta one day? 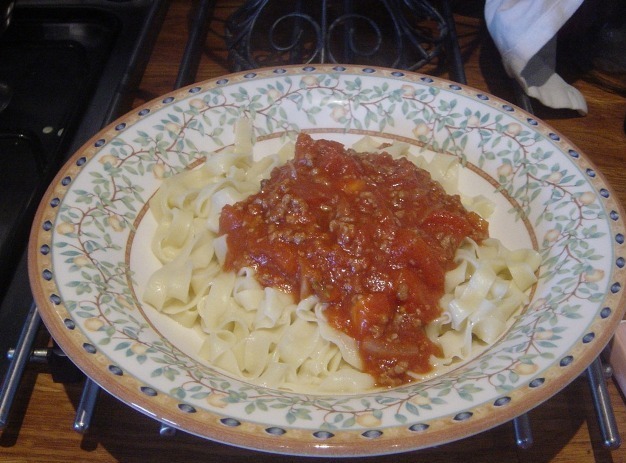 This entry was posted in Expat, Food, Italy and tagged living in Italy by Cathy Powell. Bookmark the permalink.